The UK's 1939 National Register rose in prominance as an Irish genealogy resource in 2011 when it became clear that the 1926 census of Northern Ireland had been destroyed or otherwise lost. The loss of Northern Ireland's very first census since Partition had been rumoured for years and confirmation that it no longer existed came from the Public Records Office of Northern Ireland (PRONI) and the National Statistics Office in June 2013 following a thorough investigation. In the absence of any specific record detailing its destruction, it is assumed that civil servants in London (where the paperwork had been sent) had been a little too vigorous in their application of an instruction to burn flammable materials. The loss of Northern Ireland's 1926 census returns leaves a gaping hole in the records that should have become available to family historians on expiry of the 100-year-closure rule. No other census was taken until 1937, and that was of limited scope ie questions were not asked about industry/occupation etc. Why was the National Register compiled? 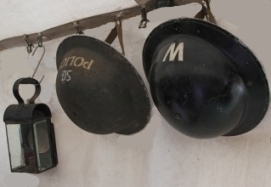 Unlike the familiar well-planned and co-ordinated population census, typically compiled at 10-year intervals, the 1939 National Register was prompted by external circumstances: war in Europe. It was organised rather hurriedly as part of the UK's contingency plans for war, to ensure the Government had a full list of the population of England, Wales, Scotland and Northern Ireland. On 1 September 1939, Germany's forces invaded Poland. Two days later, Britain declared war. On 5 September, the National Registration Act was passed and on 29 September, the National Register returns were completed. The information gathered was transferred to two 'working' registers: one to allocate ration books; the other for issuing identity cards and for military service call-up (draft). What information is held in the 1939 National Register? The returns are arranged by address. Each resident is named, alongside their date of birth (yes! Date of Birth, not age... Wonderful! ), marital status and occupation, as well as highlighting membership of the armed forces or reserves. Obviously, the date of birth information is incredibly useful, especially for homing in on people with fairly common names. But it can also be the nugget that reveals an ancestor whose parents' names are unknown; if you have the exact date of birth you may be able to narrow down a civil birth record (1864 onwards) or an even earlier baptismal record. Similarly, the date of birth can lead you to a subsequent death record. What happened to the records after the war? 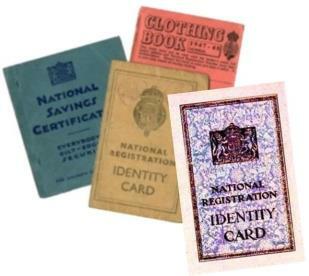 Two sets of card index registers had been compiled from the 1939 National Register. In most of the UK, one set of the 'working' register (consisting of 7,000 transcript books holding details of some 40 million registrations), together with an accompanying index, was used to create the National Health Service register in 1948. New cards were still being added to the index right up to 1993, when the system was computerised, and the cards had, over the years, been annotated with details of changes of surname on marriage for women and dates and places of death. Unfortunately, this continuation of use did not occur in quite the same way in Northern Ireland, although some annotations seem to date up to the late 1940s. The 'code' of these notes has not yet been fully explored; PRONI hopes to carry out further research so that these annotations can be better interpreted. The National Registration Act 1939 specifically prohibited publication of the details supplied and, for years, its very existence remained unknown. However, thanks to two independent challenges, one by genealogist and blogger Chris Paton (britishgenes.blogspot.co.uk), the other by the Council of Irish Genealogical Organisations (cigo.ie), it is possible to apply for details under the Freedom of Information Act 2000 (FOI). 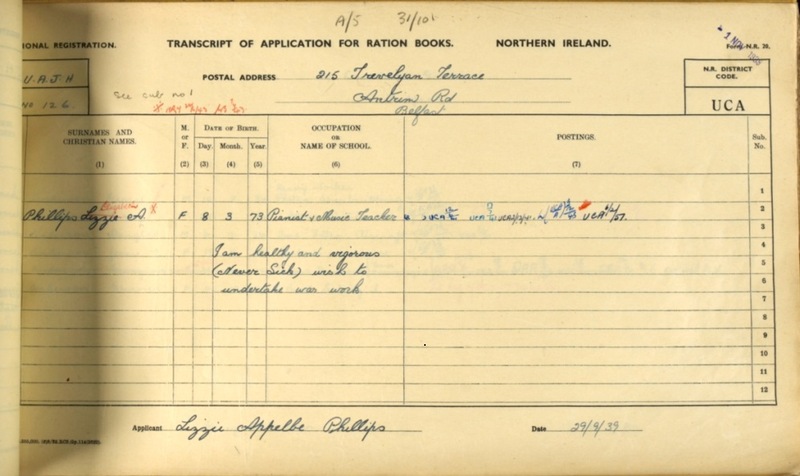 While authorities in England & Wales and Scotland have got their wallets out (see right-hand column) to deal with FOI applications relating to the 1939 National Register, the process is simplified and free for Northern Ireland. Due to the ongoing political impasse in Northern Ireland, Freedom of Information requests are not being processed. In other words, FOI has been suspended. Due to the ongoing political impasse in Northern Ireland, Freedom of Information requests are not being processed. In other words, FOI is currently suspended. If you wish to make an application for Northern Ireland, you can get the ball rolling by completing PRONI's general research enquiry form. Basically, you request details by specific address, not by individual. You will be provided with information about ALL the inhabitants of that address EXCEPT those who, if still alive, would not yet have reached 100 years of age. If an inhabitant would, at the time of your application, be less than 100 years old, you must supply proof of their death. 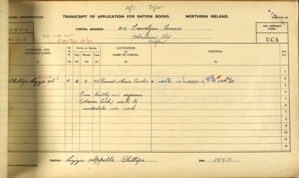 Example: John, born 1931, was recorded in the Register with his parents, James and Mary, born 1880 and 1885 respectively. There were also some unrelated lodgers living in the house, all born before 1913. If you made an FOI request for the correct address and an entry was found, you would be supplied with all the details for James, Mary and the lodgers, but if John is still alive and kicking in his 80s, you wouldn't be given any information about him unless he signed a release. The National Archives in Kew holds the original returns of the 1939 National Register for England & Wales. FindMyPast, Ancestry and MyHeritage have digitised and published the collection. The collection can be extremely useful for those with Irish ancestors who had emigrated to England and Wales. Information about individuals born after 1918 (ie those who would be less than 100 years old now) has been redacted but can be 'unlocked' on proof of death. You can access the 1939 National Register in Scotland via the National Records of Scotland agency. There's a charge for each individual for whom data is requested, but if no entry/details are found, a proportion is refunded. In May 2018, the charge is £15. When making an application you have to quote the individual's date of death rather than date of birth. Information will only be provided if the individual is deceased. Full details and an application form can be downloaded from the National Records of Scotland.